Developed by Edson Gould, Speed Resistance Lines, sometimes referred to as Speedlines, are trend lines based on 1/3 and 2/3 retracements. Gould was a prominent market technician who became quite famous for his market calls in the 60s and 70s. Gould appeared on Wall Street Week a few times and was often quoted in Barron's. Speed Resistance Lines are not drawn like traditional trend lines, which are based on peaks and troughs. Instead, the first line extends from the low to the high in an uptrend or from the high to the low in a downtrend. This first Speedline sometimes cuts right through prices. Subsequent lines are then placed at 1/3 and 2/3 intervals to estimate potential support or resistance levels. The SPY chart above shows the Speed Resistance Lines extending down from the April high. The first line extends from the April high (121.54) to the July low (101.13). The middle line extends from the April high to the 2/3 point, which is two-thirds of the way below the April high. The upper line extends from the April high to the 1/3 point, which is a third of the way below the April high. These lines extend to the right as new bars (trading days) occur. The TLT chart above shows the Speed Resistance Lines extending up from the April low. The first line extends from the April low (86.44) to the July high (102.66). The middle line extends from the April low to the 2/3 point, which is two-thirds of the way above the April low. The lower line extends from the April low to the 1/3 point, which is a third of the way above the April low. These lines extend to the right as new bars (trading days) occur. Speed Resistance Lines work the same as ordinary trend lines. They can be used to estimate support or resistance levels and to define the trend. In an uptrend, Speed Resistance Lines mark two potential support levels to watch. A break below the middle line targets a move towards the upper line. A break below the lower line indicates enough weakness to consider a trend reversal. Once broken, the line extensions can then mark resistance, just as ordinary trend lines do. In a downtrend, Speed Resistance Lines mark two potential resistance levels to watch. A break above the middle line shows strength that targets a move to the upper line. A break above the upper line indicates a trend reversal. Once broken, these Speedlines can then turn into support on a pullback. Chart 3 shows Target (TGT) with the Speed Resistance Lines drawn from the December low to the January high (yellow dots). Once drawn, these lines extend to the right as new price action occurs and new bars are added. This also means the support levels adjust and extend as well. It is also possible to redraw Speed Resistance Lines as new highs form. TGT gapped down in early February, but the stock found support at the lower Speedline and continued its uptrend. The lower Speedline also provided support in late February and early May. Target broke below the lower Speedline in early June to signal a trend reversal. Notice how this line turned into resistance in mid-June. Chart 4 shows Pfizer (PFE) with the Speed Resistance Lines drawn from the June low to the July high. Despite such a short drawing period, the lower Speedline extension provided support in October and again in November. Also, notice how the middle Speedline extension provided resistance in late August. Chart 5 shows Macy's (M) with Speed Resistance Lines drawn. The first speedline, marked with yellow dots, runs from the October high to the December low. The middle Speedline marks the first potential resistance level. The upper Speedline marks the second potential resistance level. Notice how Macy's broke above the middle Speedline with a strong surge in December, but hit resistance at the upper Speedline in late December and early January. The February break above the upper Speedline reversed the downtrend. Chart 6 shows Electronic Arts (ERTS) with Speed Resistance Lines extending from the June high to the September low. ETRS broke above the middle Speedline, but met resistance at the upper Speedline in mid-October. After a sharp decline into December, the stock found support near the middle Speedline. This is a classic example of how Speedlines can offer resistance before a breakout and support after a breakout. It depends on the location of price. ERTS bounced again, but again met resistance just below the upper Speedline. Speed Resistance Lines can be repositioned as a security extends its trend with lower lows or lower highs. In the Electronic Arts example below, the first Speedlines were based on the June high and September low. ERTS forged new lows in December and again in February as the downtrend extended. The first set of Speedlines are blue, while the second set are pink. Speedlines for the December low were skipped to keep the chart relatively clean. Notice how the Speedlines widened as the stock forged lower lows. This is because the length of the move from high to low grew larger - as did the 1/3 and 2/3 retracements. The repositioned Speed Resistance Lines (pink) were based on the June high and February low. Even though the stock broke above its January high, the upper Speedline extension marked resistance in April. Speed Resistance Lines divide the trend into three sectors, or thirds. This is similar to Fibonacci retracements, which are based on 38.2% and 61.8%. In addition, Dow Theory suggests that securities retrace 1/3 to 2/3 of an advance or decline with a corrective move. Applying Speed Resistance Lines after an advance or decline provides chartists an immediate idea of where to expect support or resistance. These Speedlines can be maintained as is or repositioned as an advance or decline extends with new highs or lows. Repositioning after a higher high or lower low will widen the Speed Resistance Lines. This means potential support or resistance levels will be further away. As with all indicators and line studies, Speed Resistance Lines should be used in conjunction with other aspects of technical analysis. They are not designed as stand-alone indicators. You can use our ChartNotes annotation tool to add Speed Resistance Lines to your charts. Below, you'll find an example of a chart annotated with Speed Resistance Lines. 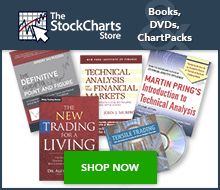 John Murphy's Technical Analysis of the Financial Markets covers Speed Resistance Lines and many other trend line tools, including international trend lines, channels and the fan principle.